RXinsider launches the SPRING 2019 Retail/Community and Specialty edition of 20Ways. 20Ways educates independent, long-term care, specialty pharmacy owners, and retail chain executives on 20 unique products and services that promise to improve patient care and increase pharmacy profitability. The print issue circulates to more than 35,000 pharmacy professionals, including independent pharmacy owners, long-term care pharmacy owners, and retail chain executives across the United States. 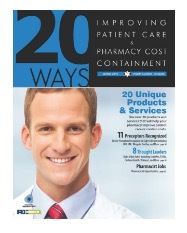 For more information or to advertise with RXinsider’s 20Ways, please visit http://rxinsider.com/20Ways/ or contact sales@rxinsider.com. 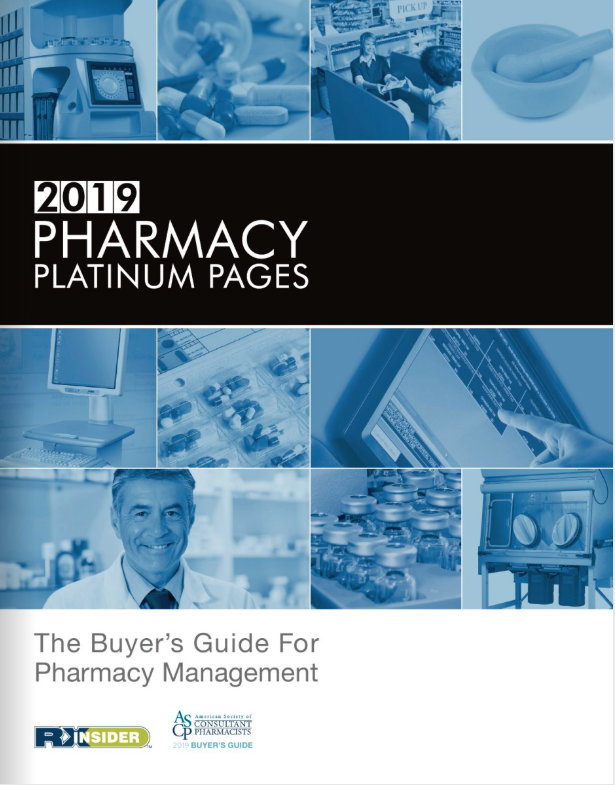 RXinsider releases the 2019 Pharmacy Platinum Pages Buyer’s Guide. The 14th annual edition features more than 450 company profiles and enhanced company sponsorships. Known as the “Yellow Pages of Pharmacy,” the Pharmacy Platinum Pages Buyer’s Guide is published annually and allows pharmacy decision-makers to research and connect with leading product and service providers. In addition to the Ebook and mobile app, the Platinum Pages will soon be available in print, video, and on Pinterest. Learn more about the Platinum Pages, and how your organization can get involved next year, here: http://www.rxplatinumpages.com. RXinsider launches the Winter 2019 Retail/Community and Specialty edition of 20Ways. 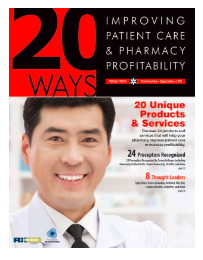 20Ways educates independent, long-term care, specialty pharmacy owners, and retail chain executives on 20 unique products and services that promise to improve patient care and increase pharmacy profitability. For more information or to advertise with RXinsider’s 20Ways, please visit www.rxinsider.com/20ways/20ways.php or contact sales@rxinsider.com. RXinsider launches the Winter 2018 Health Systems and Infusion edition of 20Ways. 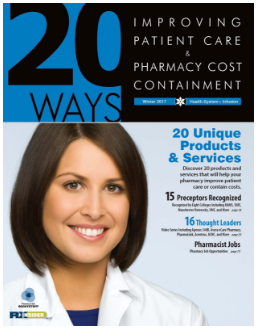 20Ways is published on a quarterly basis, educating pharmacy managers on 20 unique products and services that aim to improve patient care and a pharmacy’s financial bottom line. The print issue circulates to more than 6,500 hospital pharmacy directors, 2,200 clinical consultants, and 2,500 industry executives across the United States. RXinsider launches the Fall 2018 Retail/Community and Specialty edition of 20Ways. 20Ways educates independent, long-term care, specialty pharmacy owners, and retail chain executives on 20 unique products and services that promise to improve patient care and increase pharmacy profitability. For more information or to advertise with RXinsider’s 20Ways, please visit www.rxinsider.com/20Ways or contact sales@rxinsider.com. RXinsider is proud to welcome our NEW partners: Scripps Safe, Cardinal Health OptiFreight® Logistics, Visante, PHC Corporation of North America, GirishGPO, Pharma Logistics, STALLION EXPRESS, and The WorkingBuildings Group. RXinsider launches the Summer 2018 Health Systems and Infusion edition of 20Ways. 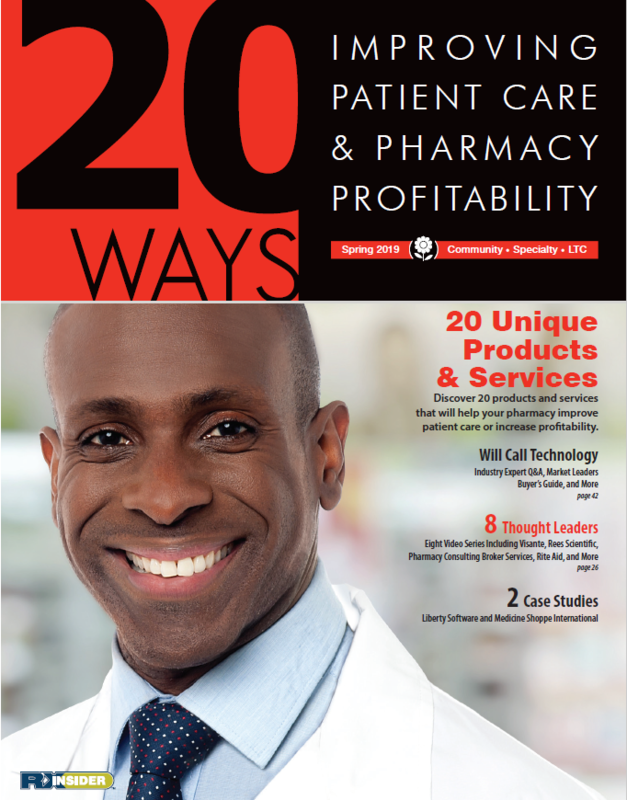 20Ways is published on a quarterly basis, educating pharmacy managers on 20 unique products and services that aim to improve patient care and a pharmacy’s financial bottom line. RXinsider launches the Spring 2018 Retail/Community and Specialty edition of 20Ways. 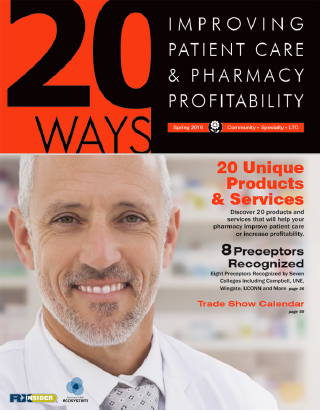 20Ways educates independent, long-term care, specialty pharmacy owners, and retail chain executives on 20 unique products and services that promise to improve patient care and increase pharmacy profitability. RXinsider releases the 2018 Pharmacy Platinum Pages Buyer's Guide. The 13th annual edition features more than 450 company profiles and enhanced company sponsorships. Known as the "Yellow Pages of Pharmacy," the Pharmacy Platinum Pages Buyer's Guide is published annually and allows pharmacy decision-makers to research and connect with leading product and service providers. 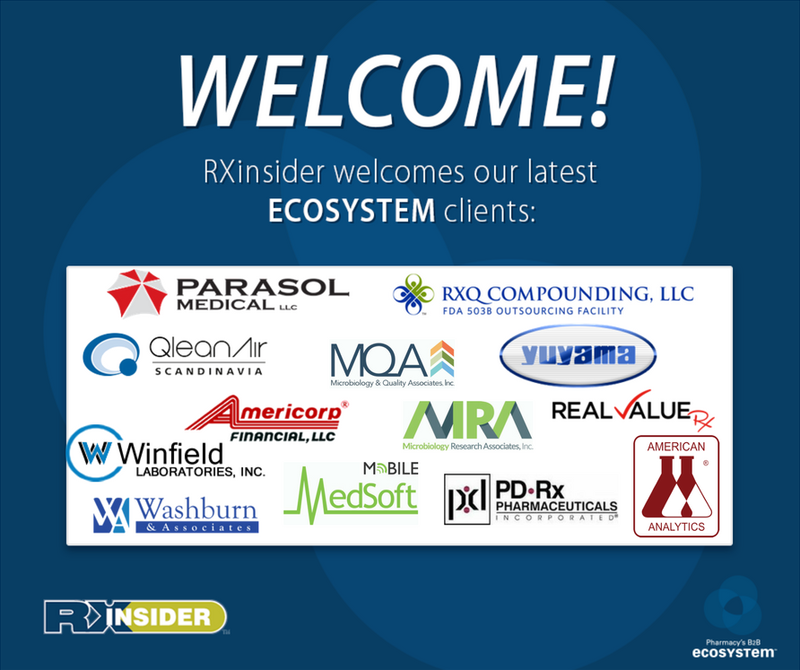 RXinsider is proud to welcome our NEW partners from the month of January: Parasol Medical, QleanAir Scandinavia, Americorp Financial, Mobile MedSoft, RXQ Compounding, LLC, Microbiology & Quality Associates (Analytical Lab Group), Microbiology Research Associates (Analytical Lab Group), Winfield Laboratories Inc, Real Value Rx, Yuyama, Washburn & Associates, PD-Rx Pharmaceuticals, and American Analytics. RXinsider launches the Winter 2018 Retail/Community and Specialty edition of 20Ways. 20Ways educates independent, long-term care, specialty pharmacy owners, and retail chain executives on 20 unique products and services that promise to improve patient care and increase pharmacy profitability. 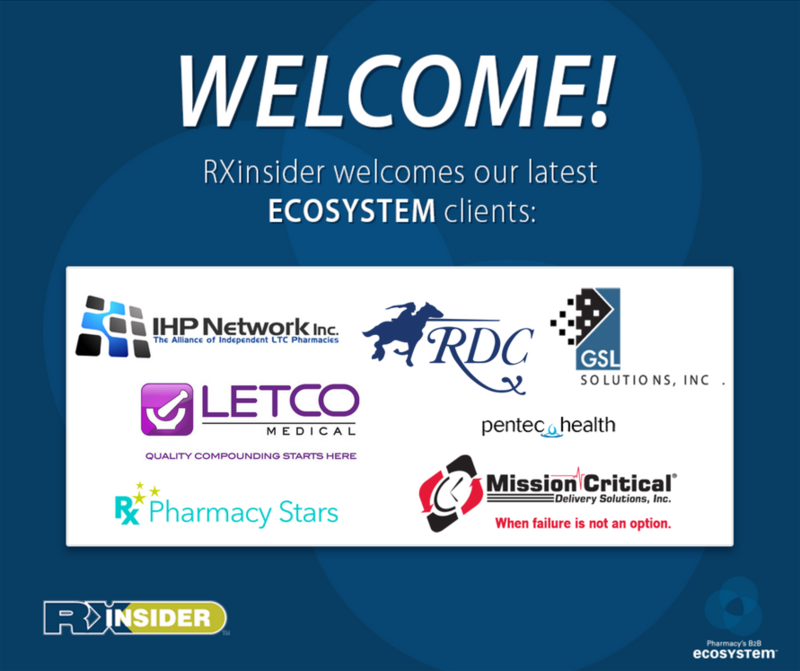 RXinsider is proud to welcome our NEW partners as we begin the new year: IHP Network, RDC, Letco Medical, Mission Critical Delivery Services, Inc., GSL Solutions, Pentec Health, and Pharmacy Stars! RXinsider launches the Winter 2017 Health Systems and Infusion edition of 20Ways. 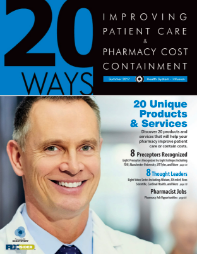 20Ways is published on a quarterly basis, educating pharmacy managers on 20 unique products and services that aim to improve patient care and a pharmacy’s financial bottom line. RXinsider launches the Fall 2017 Retail/Community and Specialty edition of 20Ways. 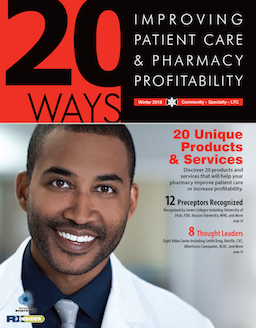 20Ways educates independent, long-term care, specialty pharmacy owners, and retail chain executives on 20 unique products and services that promise to improve patient care and increase pharmacy profitability. 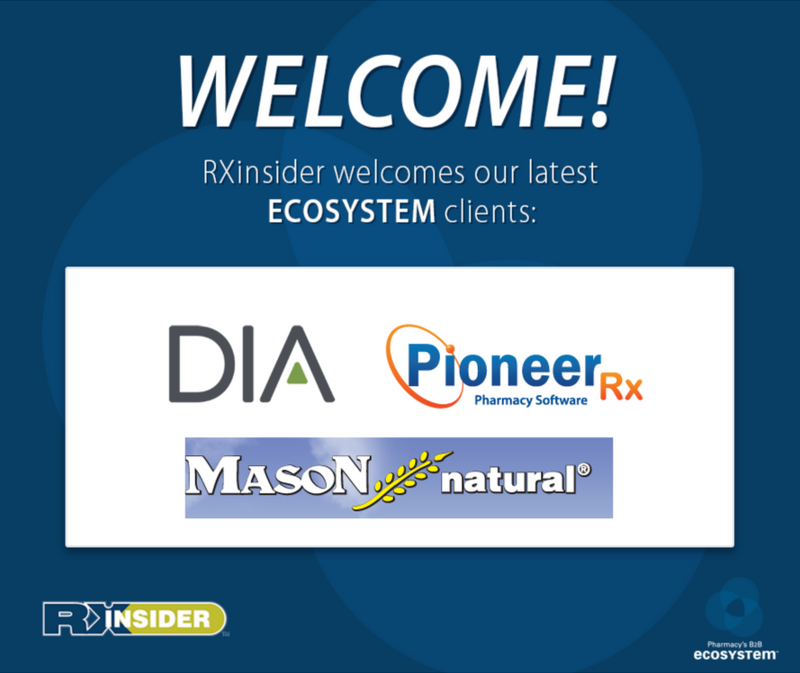 DIA (Drug Information Association), Mason Vitamins, and PioneerRx! 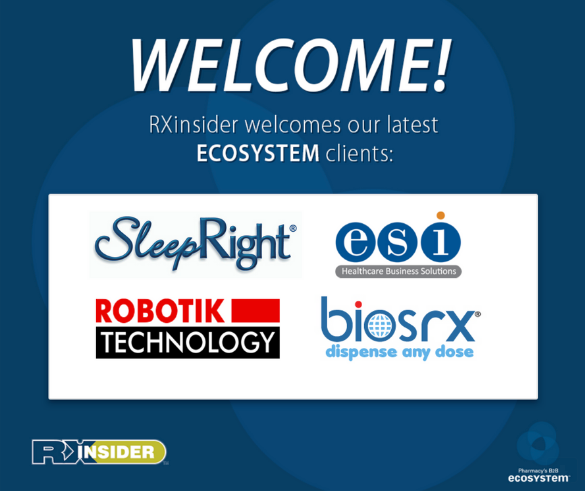 RXinsider is proud to welcome our NEW partners from the month of July: SleepRight, ESI Healthcare Business Solutions, Robotik Technology, and BioRx Inc.! RXinsider launches the Summer 2017 Health Systems and Infusion edition of 20Ways. 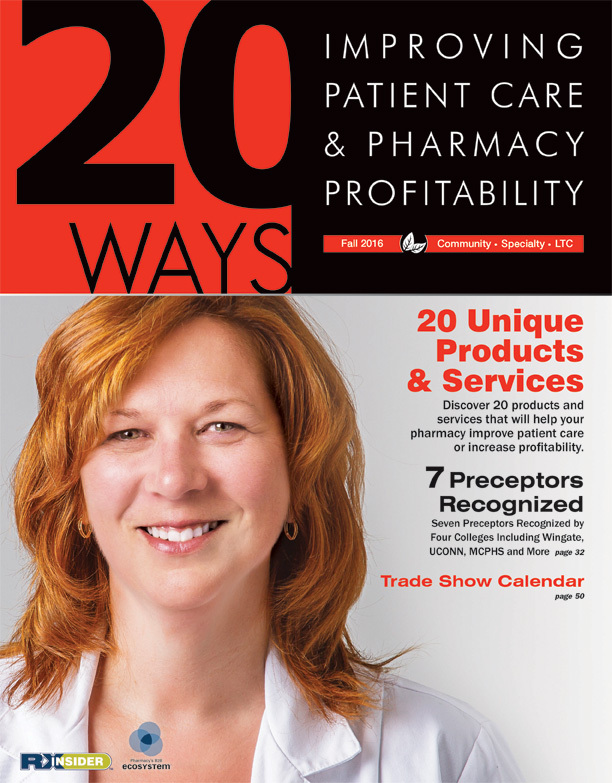 20Ways is published on a quarterly basis, educating pharmacy managers on 20 unique products and services that aim to improve patient care and a pharmacy’s financial bottom line. RXinsider is pleased to announce the release of the 2017 Pharmacy Platinum Pages Buyer’s Guide Multimedia Animation Videos. The 12th annual edition of the Platinum Pages features over 400 profiles and enhanced company sponsorships. The Ebook version now features over 180 multimedia animation videos, detailing company products and services in an all new way. View the updated Ebook here. View Platinum Pages Video Portfolio here. 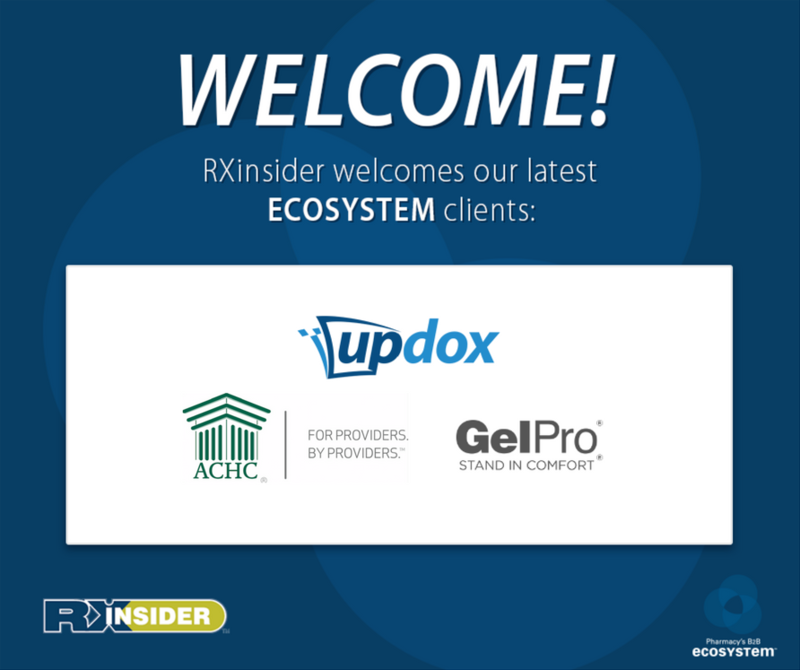 RXinsider is proud to welcome our NEW partners from the month of April: Updox, Accreditation Commission for Health Care (ACHC), and GelPro Medical! RXinsider is launching its DEA Take-Back Day Promotional Package for companies in pharmaceutical returns and waste management. The National Prescription Drug Take-Back Day aims to provide a safe, convenient, and responsible means of disposing of prescription drugs, two days a year. The deadline for inclusion in the DEA Take-Back Day Promotional Package is April 14, 2017. For more information on RXinsider’s DEA Take-Back Day Promotional Package, please contact the sales team at sales@rxinsider.com. 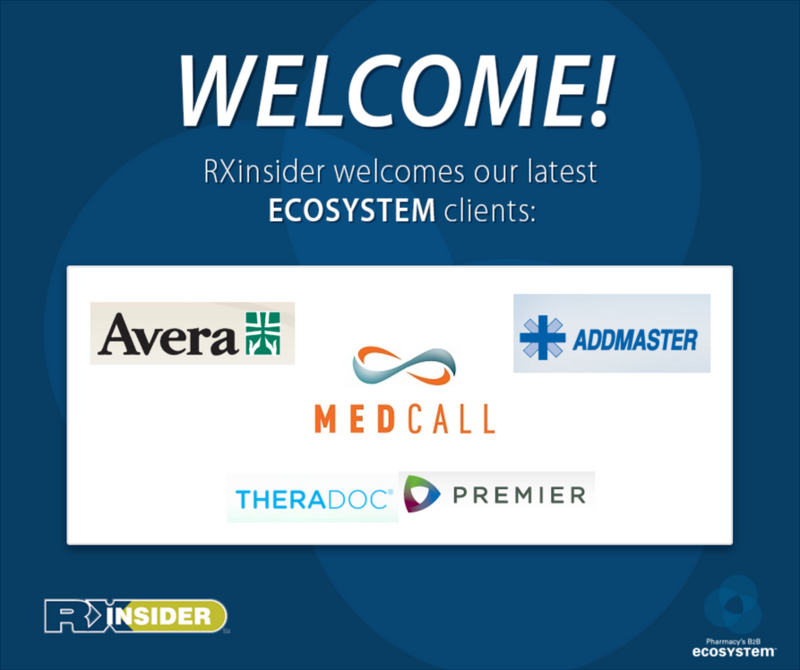 RXinsider is proud to welcome our NEW partners from the month of February: MedCall, Avera ePharmacy, Premier Inc., and Addmaster Corporation. 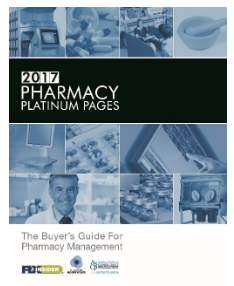 RXinsider releases the 2017 Pharmacy Platinum Pages Buyer’s Guide. The 12th annual edition features more than 400 company profiles and enhanced company sponsorships. In addition to the Ebook, mobile app, and Pinterest, the Platinum Pages will soon be available in print and video formats. Learn more about the Platinum Pages, and how your organization can get involved next year, here:http://www.rxplatinumpages.com. 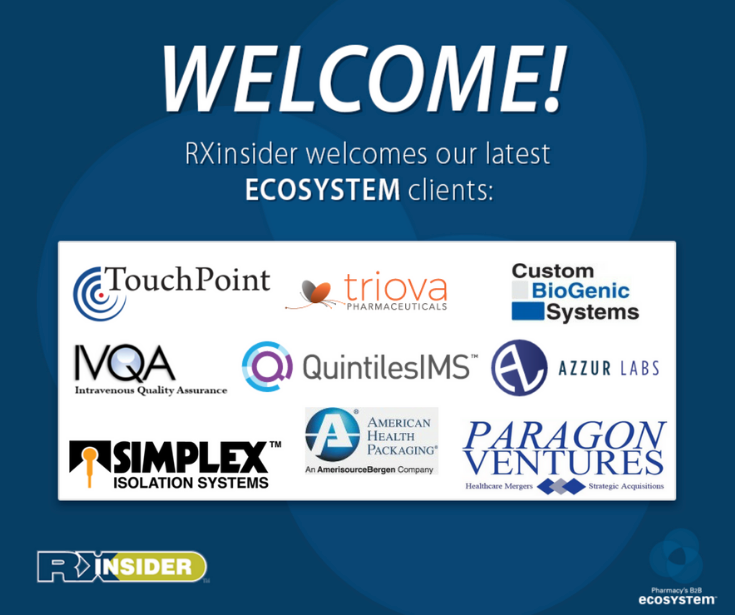 RXinsider is proud to welcome our NEW partners from the month of January: Triova Pharmaceuticals, TouchPoint Medical, IVQA, Custom BioGenic Systems, Paragon Ventures, Simplex Isolation Systems, Azzur Labs, American Health Packaging, and QuintilesIMS. 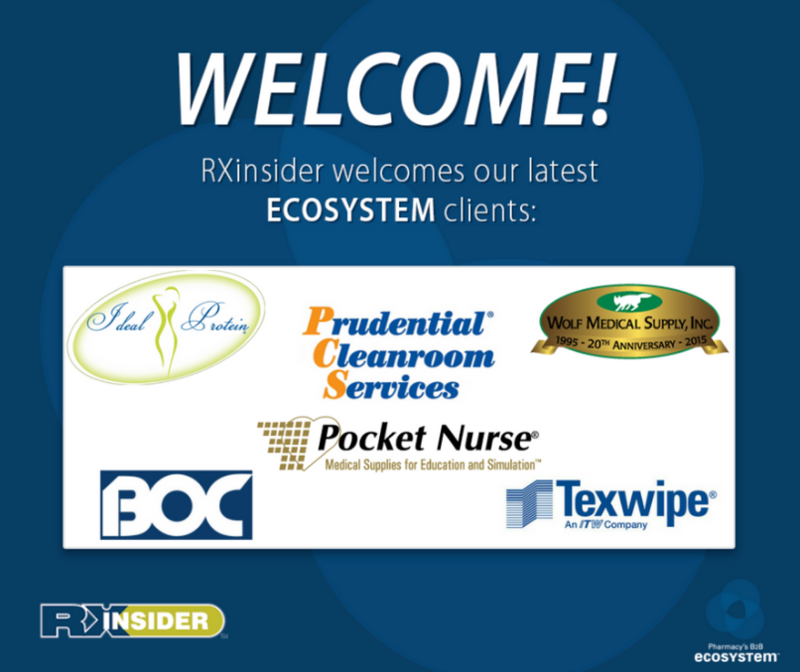 RXinsider is proud to welcome our NEW partners from the month of December: Ideal Protein, Prudential Cleanroom Services, Wolf Medical Supply, Board of Certification/Accreditation, International (BOC), Pocket Nurse, and Texwipe! RXinsider launches the Winter 2016 Retail/Community and Specialty edition of 20Ways. 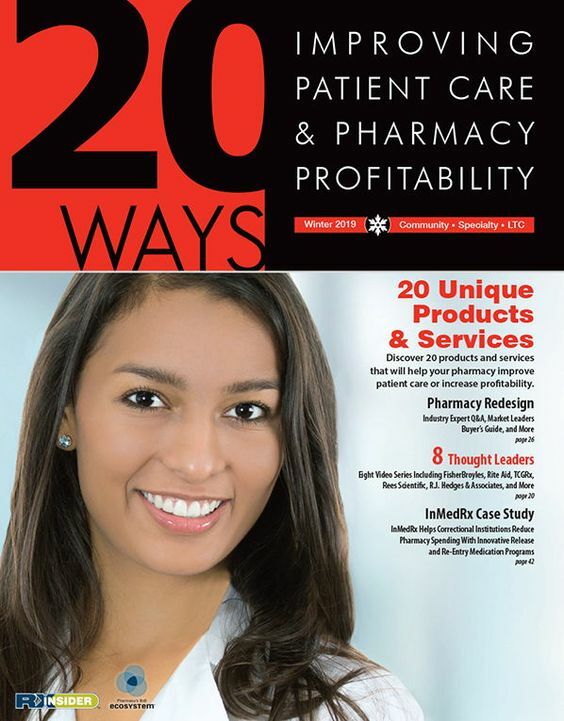 20Ways educates independent, long-term care, specialty pharmacy owners, and retail chain executives on 20 unique products and services that promise to improve patient care and increase pharmacy profitability. 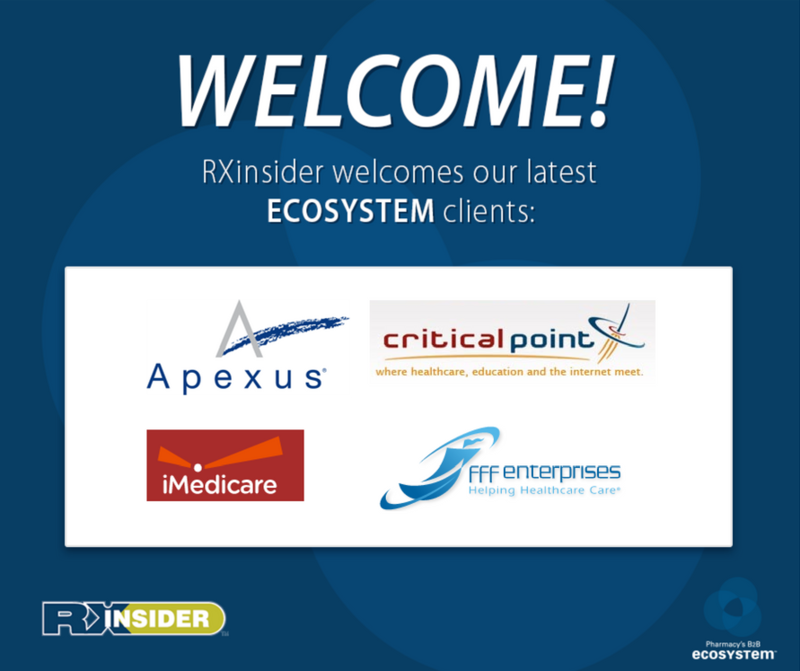 RXinsider is pleased to welcome our NEW partners from the month of November: Apexus, CriticalPoint, iMedicare, and FFF Enterprises! 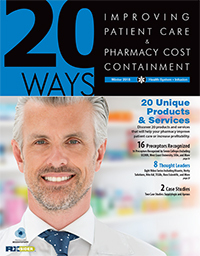 RXinsider launches the Winter 2016 Health Systems and Infusion edition of 20Ways. 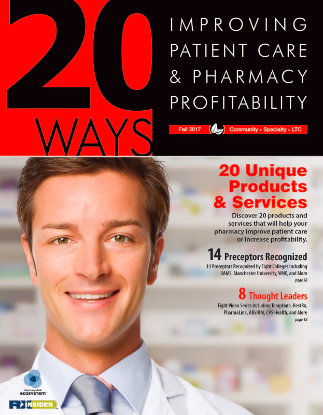 20Ways is published on a quarterly basis, educating pharmacy managers on 20 unique products and services that aim to improve patient care and a pharmacy’s financial bottom line. RXinsider is launching its USP <800> Marketing Blitz Package for companies in the USP compliance space. This package offers companies the opportunity to cost-effectively brand themselves as USP <800> leaders through web, print, video, social media, SEO, email, and live trade shows. “Now is the time for pharmacies that handle hazardous drugs to plan for compliance with USP <800>. There is an immediate need for companies to get their USP <800> compliance products and services in front of hospital pharmacy directors, as they are making purchasing decisions,” says Chris Kolkhorst, Vice President of RXinsider. 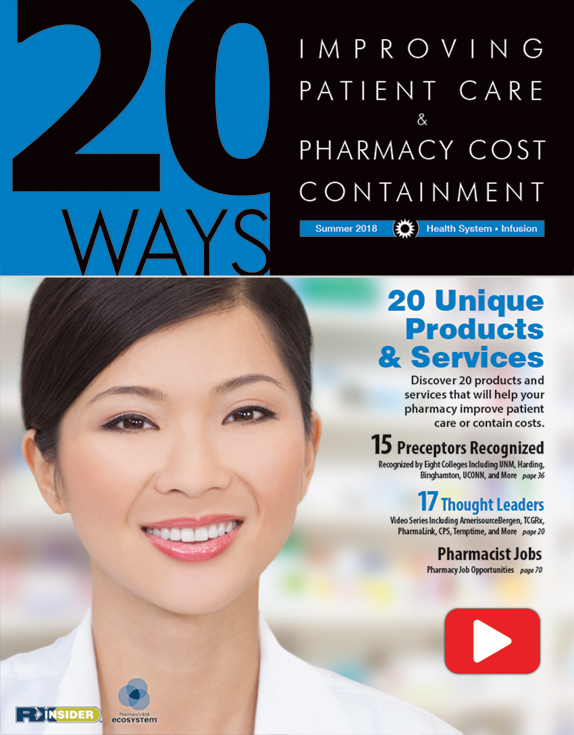 Logo inclusion in a PREMIUM full-page ad located within the Table of Content of the 2017 Pharmacy Platinum Pages, 20Ways SUMMER (Hospital) issue, and 20Ways WINTER (Hospital) issue. The deadline for inclusion in the USP <800> Marketing Blitz Package is January 1, 2017. For more information on RXinsider’s USP <800> Marketing Blitz Package, please contact the sales team at sales@rxinsider.com. RXinsider and CORE Higher Education Group are proud to announce our annual Texas Hold’em Poker Tournament at this year’s ASHP Midyear Clinical Meeting, Tuesday, December 6 at the Venetian Resort & Casino Poker Room. There is no entrance fee for this complimentary tournament, and training/practice tables will be available to review rules and strategy for first-timers. The tournament starts at 9:00 sharp, but attendees should arrive by 8:30 pm. The top ten finishers are paid out, ranging from $300 to $25. Learn more about the tournament and how to register (invitation only), here. We look forward to seeing our friends and clients there! 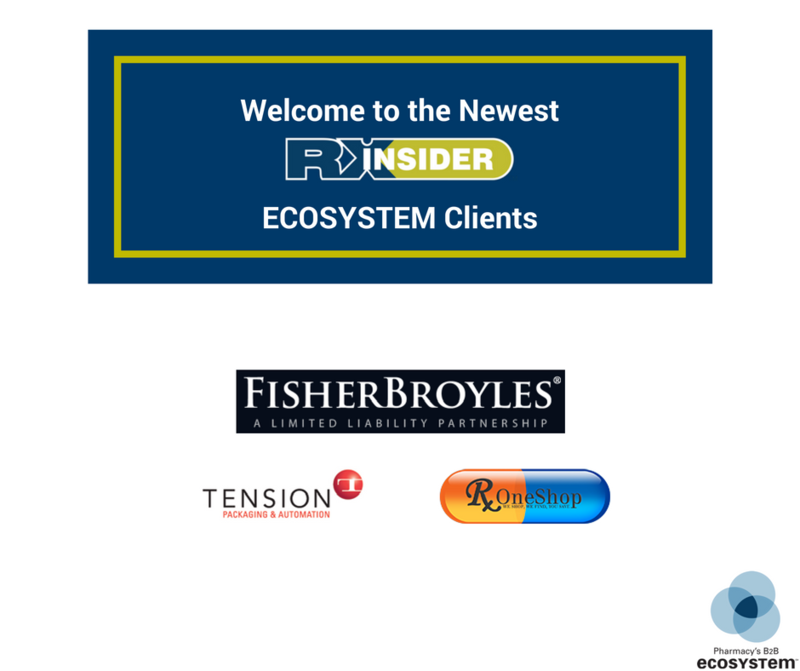 RXinsider is proud to welcome our NEW partners from the month of October: FisherBroyles, Tension Packaging & Automation, and RXOneShop! RXinsider launches the Fall 2016 Retail / Community, Specialty, and Long-Term Care edition of 20Ways. 20Ways educates independent, long-term care, specialty pharmacy owners, and retail chain executives on 20 unique products and services that promise to improve patient care and increase pharmacy profitability. RXinsider is proud to announce the launch of a NEW video offering, Thought Leader Video Series. Video is a powerful digital marketing tool that delivers engaging, persuasive, and dynamic content to your audience, whether they’re in the office or on the go. A Thought Leader Video Series can help you maximize your audience education and engagement. The series provides your business with professionally produced video content that supports your marketing plan for an entire year, allowing your sales team to tell a story in an exceptional way with a hands-off creation process for your marketing department. Contact our sales team (sales@rxinsider.com) to learn more about our Thought Leader Video Series. RXinsider launches the Summer 2016 Health Systems and Infusion edition of 20Ways. The 20Ways mission is to educate pharmacy managers on products and services that serve to improve patient care or to improve a pharmacy's financial bottom line. This relevant information is presented via twenty unique product-profiles. 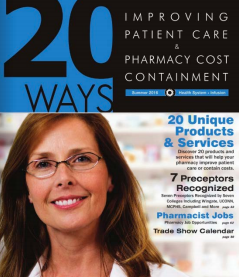 20Ways is published on a quarterly basis and subscriptions are free for pharmacy managers. The print issue circulates to over 6,500 hospital pharmacy directors, 2,200 clinical consultants, and 2,500 industry executives across the United States. RXinsider is pleased to announce the release of the 2016 Pharmacy Platinum Pages Buyer’s Guide Multimedia Animation Videos. Featuring 450 profiles and enhanced company sponsorships, the 11th annual edition of the Platinum Pages is the largest to date. The Ebook version now features over 170 multimedia animation videos, detailing company products and services in an all new way. In addition to the new videos, the 2016 Platinum Pages is now available on Pinterest! RXinsider launches the Spring 2016 Retail / Community, Specialty and Long-Term Care edition of 20Ways. 20Ways educates independent, long-term care, specialty pharmacy owners, and retail chain executives on 20 unique products and services that promise to improve patient care and increase pharmacy revenue. The print issue circulates to over 18,000 independent pharmacy owners, 2500 retail chain executives, and 3500 long-term care pharmacy owners across the United States. For more information or to advertise with us please go to www.rxinsider.com/20ways or contact sales@rxinsider.com. RXinsider releases the 2016 Pharmacy Platinum Pages Buyer’s Guide. The 11th annual edition is the largest to date, featuring 450 profiles and enhanced company sponsorships. In addition to the Ebook and mobile app, the Platinum Pages will soon be available in print and on Pinterest. RXinsider is proud to announce the launch of the redesigned Virtual Job EXPO. This update brings a new face to the application, as well as new features. The redesigned Virtual Job EXPO has an entirely new look and feel, as well as cleaner, easier to use job boards with better search capabilities. The update also brings integration with CareerTapp mobile apps. The Virtual Job EXPO continues to be the perfect online destination for healthcare practitioners seeking to research and connect with leading employers through every practice setting. Take a look and see for yourself why more than one million annual visitors use the Virtual Job EXPO for their healthcare career searches. RXinsider is pleased to announce the launch of our updated Virtual Pharmacy Trade Show. This update comes about four years after the Trade Show’s last iteration, maintaining its place as pharmacy’s one-stop destination to research and connect with leading product and service providers. With this Virtual Trade Show upgrade comes a simple, clean, and easy-to-use design for clients and users. The Virtual Trade Show incorporates client videos, photos, case studies, and much more. Both exhibitors (companies) and booths are easy to find with a new directory and clearly defined, simple to navigate aisles. Take a look through the Virtual Trade Show for all of your pharmacy needs. If you’d like to be a part of the Trade Show and expose your organization to more than 250,00 annual visitors, contact our sales team today! RXinsider is proud to announce the launch of its new website, www.RXinsider.com. The new site allows visitors to access information on all of RXinsider’s marketing and technology solutions more easily, as well as view videos, read client feedback, and learn more about the team. This update comes several years after the company’s last redesign, working to communicate more effectively with the pharmacy sector while providing beneficial resources to clients, partners, and prospective clients. The RXinsider website has sure come a long way from its launch in 2000, and the team is proud to release its latest iteration. Take a look around the new website and learn more about the innovative multimedia publications, SaaS technology platforms, research tools, and marketing resources RXinsider can provide your organization. Due to increased market demand, and several requests, RXinsider announces the launch of a new 20Ways Winter RETAIL Issue. Set to hit the market mid December 2015 - 20Ways will educate pharmacy management on 20 unique products and/or services that can improve patient care and pharmacy profitability. This additional 20Ways publication will be released alongside the 20Ways Winter HOSPITAL Issue. RXinsider is releasing its newest product line to the pharmacy market – Multimedia Animation Videos. Developed from creative published in the Pharmacy Platinum Pages and 20Ways, the videos are produced about one minute in length. In this digital age, videos are an incredibly useful and quick way for end-users to receive information. All videos are hosted on VimeoPro and are easily accessible. With the development of this new product line, RXinsider continues to bring new and innovative ways for you and your company to develop brand awareness. RXinsider's Core Technology Group presents at Pearson's National Sales Meeting in Orlando, FL. RXinsider releases the Winter 2014 Health System / Infusion edition of 20Ways. The publication serves to educate Hospital Pharmacy Directors on 20 unique products or services promising to improve patient care and their hospital pharmacy cost containment. The print issue circulates to over 6500 Hospital Pharmacy Directors, 2200 Clinical Consultants and many more industry executives. 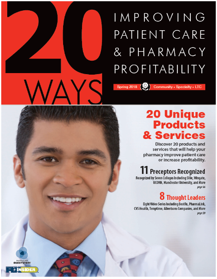 RXinsider launches the Fall 2014 Community, Retail, LTC & Specialty edition of 20Ways. 20Ways educates independent, LTC, specialty pharmacy owners and retail chain executives on 20 unique products and services that promise to improve patient care and increase pharmacy revenue. The print issue circulates to over 18,000 independent pharmacy owners, 2500 retail chain executives and 3500 LTC pharmacy owners across the United States. RXinsider attended NACDS Total Store Expo (TSE) from August 23rd-26th at the Boston Convention & Exhibition Center in Boston, MA. NACDS has made it their mission to advance the interests and objectives of the chain community pharmacy industry, by fostering its growth and promoting its role as a provider of healthcare services and consumer products. TSE gave retail chain executives the opportunity to preview the latest innovations in consumer packaged goods, pharmacy technology, pharmaceutical products and more entering the market. In addition, NACDS provided them with RXinsider's Pharmacy Platinum Pages and 20Ways publications, both of which were distributed at the exhibit hall entrance and exit. With over 5,800 attendees, RXinsider is proud to have played a role in supporting NACDS's mission. Check out the "Must See" booths from NACDS. RXinsider recently exhibited at Cardinal Health Retail Business Conference in Washington, D.C. Each year at RBC, Cardinal Health hosts hundreds of exhibitors with innovative products, offerings and solutions to help grow independent pharmacies. RXinsider is releasing the 2014 Pharmacy Platinum Pages in electronic copy. The annual "Buyer's Guide to Pharmacy Management" features more than 250 suppliers, reaching purchasing decision-makers across all pharmacy markets. Practice settings include: retail (independent / community), hospital (inpatient / outpatient), long term care, specialty, nuclear, academia, PBM (mail order), pharma and non-traditional. Distribution during 2014 includes 40,000 hard copies and more than 400,000 electronic copies. "The annual reference guide has grown by 20% in each of the past three years, and 2014 is no exception. We're proud to partner with more than 250 industry suppliers and look forward to supporting their brand and message throughout the year," said Chris Kolkhorst, Vice President of RXinsider. Distribution channels include: mobile, web, social, print, direct email, and LIVE. RXinsider (www.RXinsider.com), a multimedia and software company providing innovative technologies throughout the healthcare and higher education markets, announced today the promotion of Chris Kolkhorst to the Company's management team as Vice President. Effective immediately, Kolkhorst will lead RXinsider's B2B business unit, assuming responsibility for all product lines within the pharmacy market. Kolkhorst leads a team of dedicated sales and marketing professionals, with projected revenue growth within retail, hospital and long term care markets. RXinsider exhibits and launches 20Ways Health System / Infusion Winter 2013 edition at ASHP Midyear Clinical Meeting & Exhibition. RXinsider is launching the latest 20Ways Health System / Infusion Winter 2013 issue at ASHP Midyear Clinical Meeting & Exhibition in Orlando, FL this week. ASHP's Midyear Clinical Meeting is the largest gathering of pharmacists in the world. With its focus on improving patient care and medication safety, the meeting is attended by more than 20,000 pharmacy professionals from about 100 countries. The 20Ways mission is to educate pharmacy management on products and services serving to improve patient care or improve a pharmacy's financial bottom line while distilling and presenting this relevant information via 20 product-profiles in quick-review format. RXinsider releases the Winter 2013 Health System / Infusion edition of 20Ways. The publication serves to educate Hospital Pharmacy Directors on 20 unique products or services promising to improve patient care and their hospital pharmacy cost containment. The print issue circulates to over 6500 Hospital Pharmacy Directors, 2200 Clinical Consultants and many more industry executives. The ASCP meeting hosts the opportunity to plug in to the latest information and education for pharmacists and other healthcare professionals! The goal of the meeting is to enhance participant knowledge and competencies in providing pharmaceutical care to older adults as part of the interdisciplinary team, which results in their improved health and well-being. RXinsider is exhibiting at the NCPA (National Community Pharmacist Association) Conference this week in Orlando, FL. NCPA is hosting the 115th Annual Convention and Trade Exposition to support health care professionals and small business owners of independent community pharmacy. 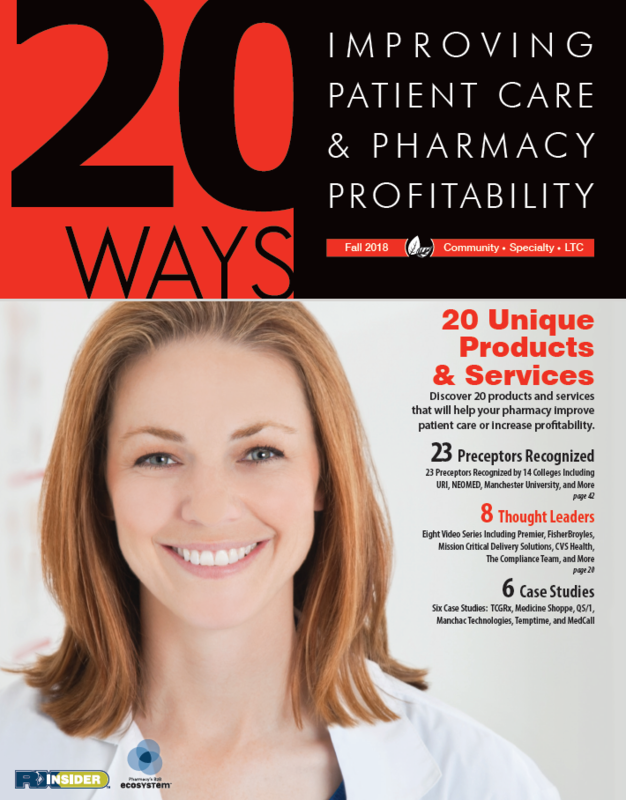 RXinsider launches the Fall 2013 Community, Retail, LTC & Specialty edition of 20Ways. 20Ways educates independent, LTC, specialty pharmacy owners and retail chain executives on 20 unique products and services that promise to improve patient care and increase pharmacy revenue. The print issue circulates to over 18,000 independent pharmacy owners, 2500 retail chain executives and 3500 LTC pharmacy owners across the United States. RXinsider is exhibiting at the 2013 NPPA Conference this week in Las Vegas, NV. There are approximately 300 Pharmacy Buyer & Group Purchasing Attendees each year, with an average of 35% who are new to the NPPA Conference. Since 1997, NPPA has conducted the only national meeting exclusively for the pharmacy purchasing profession, the Annual NPPA Conference, held in Las Vegas each year. This conference offers a unique opportunity for Pharmacy Purchasing Professionals in all disciplines and work settings to come together to learn the latest trends in Pharmacy Purchasing. Visit the RXinsider B2B Team at Booth #318! There are several other vendors to stop by and see. RXinsider is exhibiting at Cardinal Health Retail Business Conference this week in Seattle, WA. Each year at RBC, Cardinal Health hosts hundreds of exhibitors with innovative products, offerings and solutions to help grow independent pharmacies. RXinsider is proud to be one of them hosting booth #C302. There are several other vendors to stop by and see. RXinsider's Higher Education Group hosted a client networking reception at Bar Toma in Chicago to show our appreciation for all of our loyal clients. We enjoyed having the opportunity to spend time with everyone who was able to attend. We would like to extend our appreciation and thanks to all of our clients. RXinsider's Higher Education Group and MedCred business units both exhibited at the American Association of Colleges of Pharmacy annual meeting which was held in Chicago this year. It was a successful meeting. Thank you to everyone who visited our booths. RXinsider launches the new 2013 Pharmacy Platinum Pages Mobile App. Known as the "Yellow Pages of Pharmacy," the RXinsider Pharmacy Platinum Pages is published annually and serves the profession as a comprehensive and relevant buyer's guide. The 2013 Pharmacy Platinum Pages features more than 220 profiles and enhanced company sponsorships delivered in print, electronic version and now through a simple mobile app for smartphones.